Gay Rights in Death: Finding Common Plots? 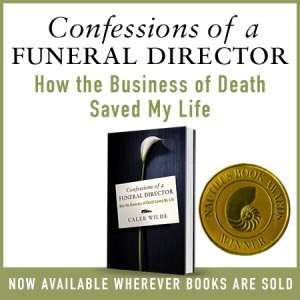 When you die, who is entitled to make your funeral and burial decisions? Have you assigned an executor of your will? Have you designated a beneficiary of your estate? For married couples, one’s spouse is the legal NOK upon death, unless an Executor has been designated. We saw this “legal NOK” play out on a public level with the death of Mary Kennedy. Even though Mary’s husband Robert was estranged, had filed for divorce and was living with his girlfriend, his legal status as “husband” confirmed him as the decision maker for Mary’s disposition, funeral and estate. Mary’s family, recognizing the fact that Robert was possibly the least qualified to respect Mary’s wishes, sued for said rights of disposition. They lost. Sure, they had more affection for Mary. Sure, they had loved Mary better than Robert. Sure, Robert was probably the main influence in Mary’s suicide. Unfortunately, though, the people who loved Mary the best in life were unable to do so in death. While the the legal process of designating a NOK in the absence of an Executor works most of the time, in Mary’s case it didn’t. And this brings us to gay rights in death. The latest statistics I’ve read show that half of Americas support gay marriage while the other half do not. It’s a divisive and complex discussion that touches anthropology, sociology, psychology, politics, genetics, gender and sexuality, philosophy and theology. I know this is a contentious conversation and I usually don’t touch bruised topics unless they involve Mark Driscoll. But, being that few have looked at gay rights from the perspective of thanatology (the study of death and dying), I thought I’d give it a stab. From a thanatological perspective, this issue seems to be less determined by whether or not one agrees with gay marriage or civil unions and more to do with who can best honor the deceased in death. In the Kennedy case, Mary could have legally designated an Executor of her estate before she died. This would have taken away Robert’s default NOK rights and placed them to the designated Executor. The problem was this: she didn’t designate an Executor. While I’m sure committed gay couples — recognizing that many states don’t affirm their unions — will often set up their partner as an Executor, the case of Mary Kennedy shows that not everyone has a binding will that designates their Executor … even when they SHOULD have a binding will. I’m sure there’s cases that exist right now where a gay couple has been together for a couple decades and haven’t set up a will or designated their partner as the executor. And, I’m sure, like the Kennedy case, the legal NOK (the parents or possibly children), may attempt to ostracize those that really loved the deceased the best. And yes, Robert ostracized Mary’s family from having any part in the service. What happens when a gay committed couple hasn’t designated their partner as the executor? What happens when the parents so disapprove of the gay relationship that — like Robert did with Mary’s family — the legal NOK ostracizes the partner who had been with the deceased for decades? When does the Christian church’s hunger for being Biblical and right become cruelty? Should the church support denying somebody the ability to properly grieve? You may be personally opposed to the state granting gay couples the right to marry (and I do realize that the issue at hand is much larger than simply whether or not the state should affirm gay marriage), but it seems that denying a couple the ability to care and take care of their partner in death creates the kind of drama and difficulty that was recently on display in the death of Mary Kennedy. If an Executor has not been designated, by default your spouse is granted those rights. If your spouse isn’t alive or you aren’t married, it becomes your oldest child who is over the age of 18. If you don’t have a child over the age of 18 — or you don’t have children — it’s your parents. If your parents are dead, the NOK becomes your eldest sibling. If you don’t have siblings, parents, a spouse, or child, you should DEFINITELY consider designating an executor or you may find your inheritance being awarded to the state, or some distant cousin you’ve never met.